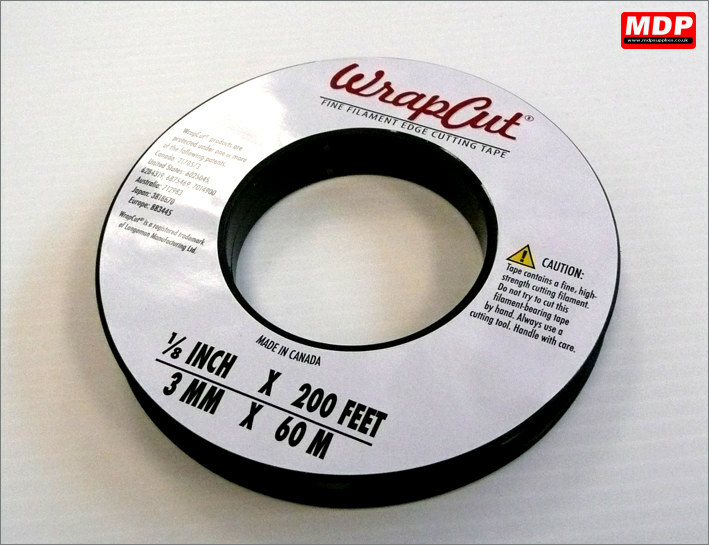 WrapCut is a filament tape designed so you can cut vehicle wrap in position without the need for using a knife. The tape has a low tack adhesive and contains a filament wire which cuts through the vinyl wrap leaving a crisp edge. Ideal for partial panel wraps. 3mm x 200ft / 60.96 metres. 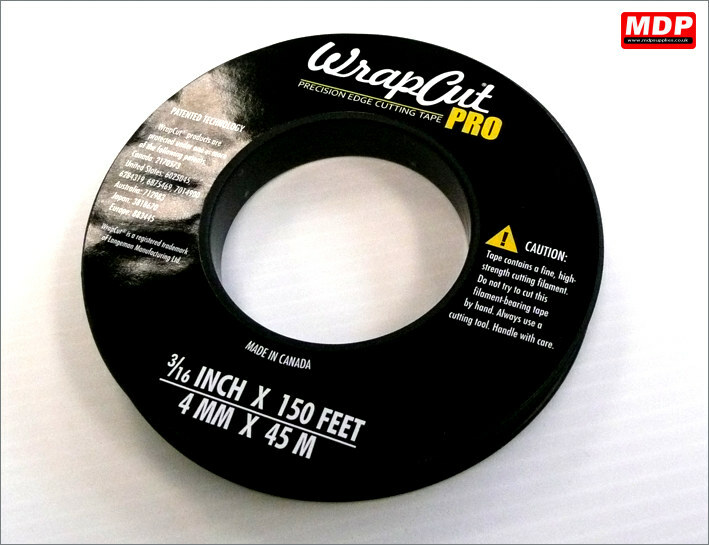 WrapCut™ Pro is a filament tape designed so you can cut vehicle wrap in position. 1mm wider and with a higher tack adhesive than the standard Wrap Cut. 4mm x 150ft / 45.72 metres.